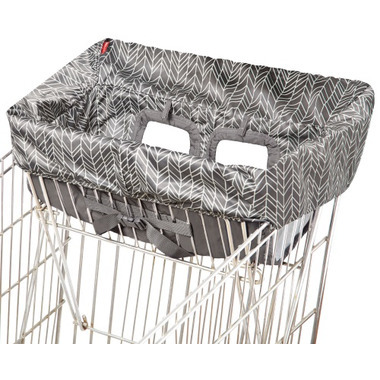 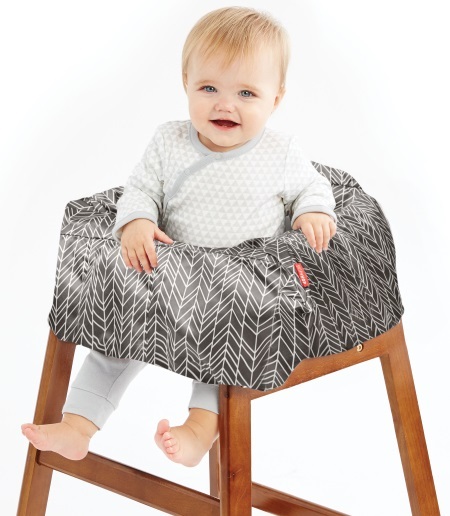 Skip Hop Take Cover Shopping Cart & High Chair Cover is padded and folds up small for on-the-go. 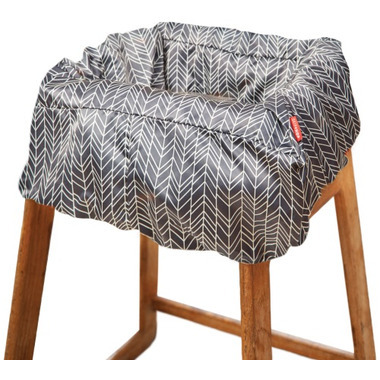 Keep your little one from touching germ-covered shopping carts and restaurant-style high chairs with this machine-washable liner. 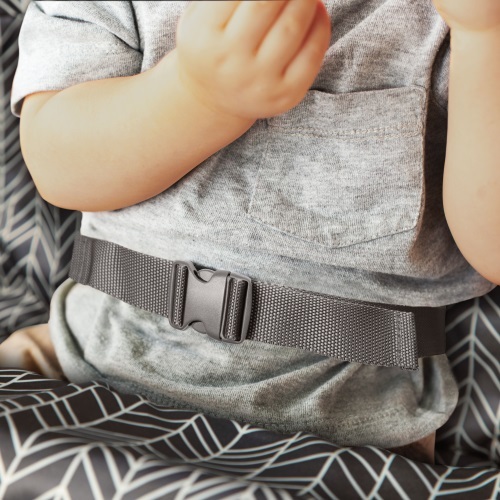 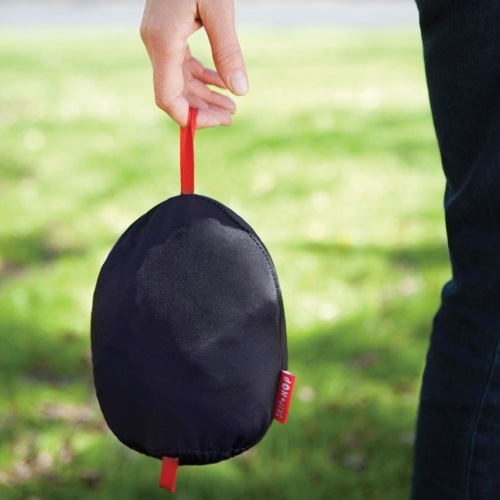 Complete with padded seat and leg openings for extra comfort, a built-in pouch makes it portable and keeps messes contained. 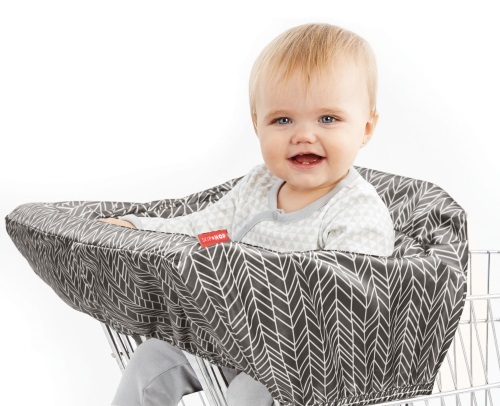 Attach favorite hanging toys to the two front loops, keeping baby entertained while you shop or dine.